Freiburg - Matchday 12’s final instalment comes from the MAGE SOLAR-Stadion, where SC Freiburg host VfB Stuttgart in a tasty-looking Baden-Württembergderby, which pits together two sides at opposite ends of the form table. first win of the season away at 1. FC Nürnberg on Matchday 11, while VfB are in need of a pick-me-up after shipping six at Borussia Dortmund last time out. This meeting will be the sides' fourth in this calendar year and second in the 2013/14 campaign, following Freiburg'a in late September. 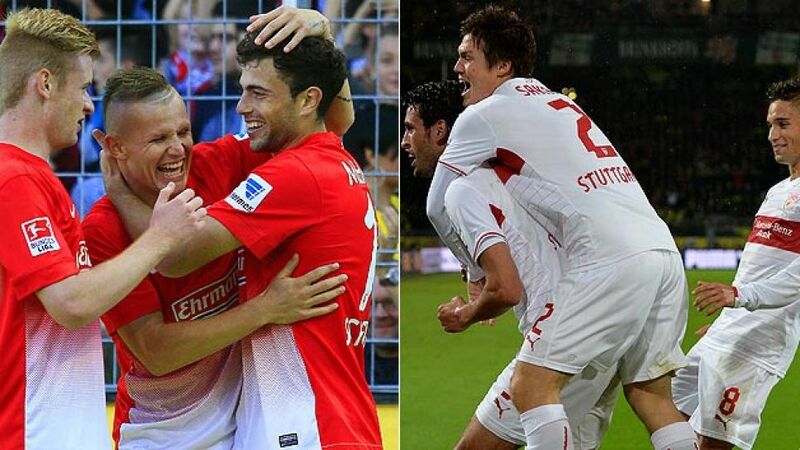 They also faced off at the back end of the last season, with VfB winning both encounters. Stuttgart’s Matchday 11 defeat in Dortmund was their first in seven matches under new coach Schneider, and while the trend at the club has undoubtedly been positive since his arrival, this game will go some way to revealing what his youthful team are made of and how quickly they can pick themselves up after a setback. “We want to show a reaction to Dortmund and I expect the players put their absolute maximum into the game,” said the coach. Given that his charges last played nine days ago, the visitors should be able to do just that. Freiburg, meanwhile, have been action twice since then, both away from home - including a draining UEFA Europa League tie in Portugal on Thursday.